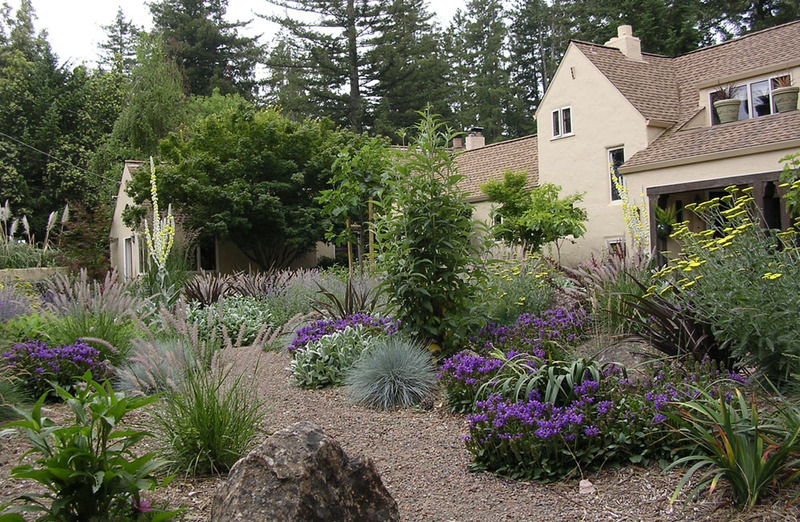 Beyond Low Water Use - What Services is Your Landscaping Providing? Instead of just being “less bad”, can we imagine creating our landscapes to provide positive services to the greater environment while still serving all our needs? In the following three posts we will explore three ecological services that a landscape can easily provide if designed properly. These are the “low hanging fruit”, meaning the least costly services for the most reward. In fact, they can have minimal or zero negative financial impact on the project. Our landscapes provide many things: value to our home, outdoor entertaining, food, and beauty! 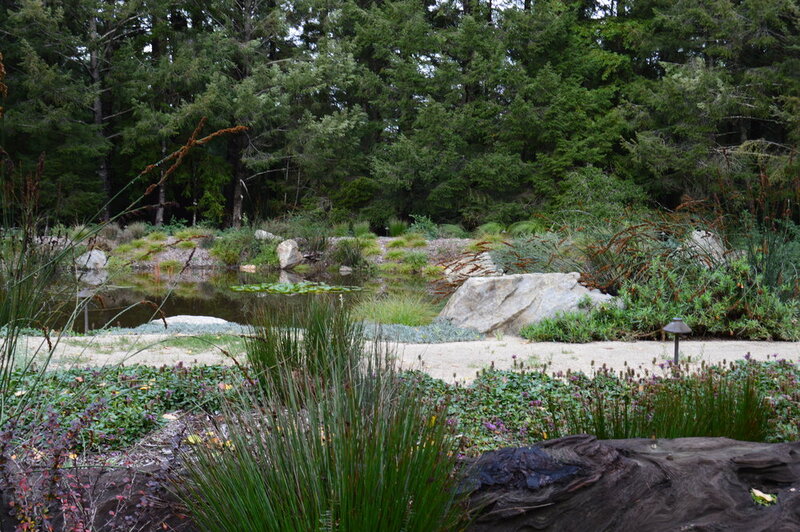 Creating beautiful landscapes is such a critical part of what we do at Elder Creek. Beauty inspires, brings peace and calm to our hectic lives, and it’s the first thing most people notice that draws them to a space. Beauty is a critical focus of every landscape we design, but is that enough? With just a little shift in our focus, our beautiful landscapes can serve to assist in so many of the ecological crises that we are facing. In fact, we as a company made that shift over a decade ago and have been incorporating functional, ecologically literate systems into landscapes so that they provide critically needed services to the environment. How to store (and more importantly) how to filter rainwater before it departs from your property to help save our waterways and groundwater. The importance of sequestering carbon in our landscapes to help clean the air and cool the planet. How we can turn an ornamental garden bed into a year-round habitat garden to assist in saving migrating pollinators that we need for over 80% of our food crops. As a designer, it is very important for me to note that these solutions do not need to dictate the design aesthetic. Whether creating an eclectic planter bed or a landscape architecture plan with clean lines and mass plantings, we can incorporate these necessary services. Please check back over the next few weeks for more blog posts on the 3 topics mentioned above. Rick Taylor has spent the last 20 years in Sonoma County studying, practicing, and teaching sustainability in the landscape. From professional trainings, to university students, garden clubs to elementary children, his deep understanding of the industry and ecology allows him to adapt talks for almost any audience. Rick merged a background in both horticulture and agriculture with his passion for the built environment and founded Elder Creek Landscapes, a design/build/maintain firm with a professional and ecological focus. Elder Creek has since transitioned into a Landscape Architecture Construction Project Management firm. In addition to almost two decades in the industry, Rick has also served on the Sebastopol Design Review Board, where he had major design input on the municipal drainage plan for the NEASP project. He also served as a core member to Sonoma State's Sustainable Landscape Professional Certificate program, where he developed the curriculum and taught classes on sustainable and profitable landscape maintenance techniques. 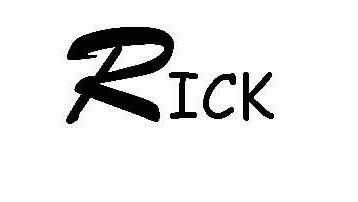 Rick has given numerous talks for master gardeners clubs and community organizing groups, and leads hands-on volunteer events for Daily Acts, a non-profit focused on sustainability transformation.